Back in late March, it was that SNK’s classic bloody fighter Samurai Shodown was getting rebooted, and launching on PS4, Xbox One, and . 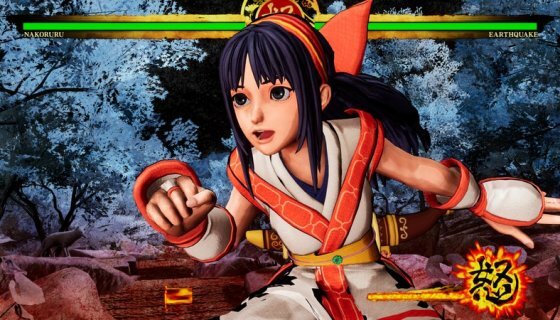 Now it’s time to get up close and personal with the game’s characters, and up first in what will be a weekly series of reveals is Nakoruru. Don’t let her youth, innocence and beautiful looks fool you, Nakoruru is as dangerous as any of the other fighters featured in the game. The Kamui warrior alongside her loyal pet hawk Mamahaha have been around since the original Samurai Shodown game, and now her nature-based moves look even more beautiful but still just as dangerous as ever thanks to the games new gorgeous cutting edge 3D graphics. Nakoruru’s main mission is to protect her beloved Mother Nature at all cost, and those who dare dishonor her face death. You can check out her character reveal trailer in the gallery below and keep it locked on HipHopWired as we bring each character reveal and any more news related to Samurai Shodown leading up to the games June release.